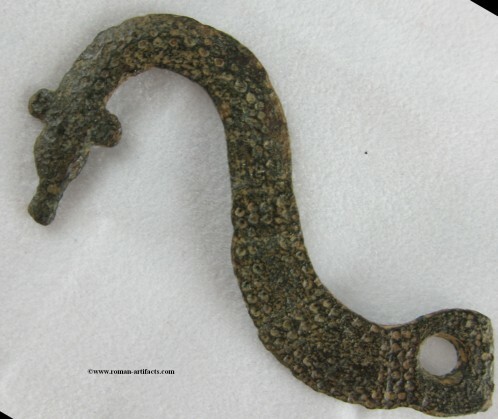 A bronze chain mail or lorica hamata hook with a head that appears to have horns, eyes and a snout.. Two that make a pair would have been joined with a hinge in the center. 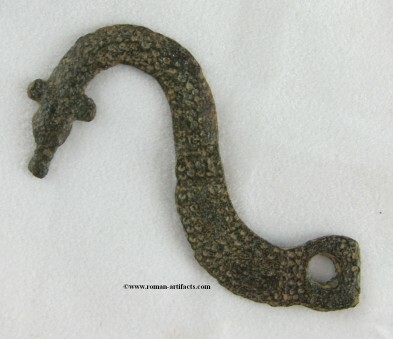 It has an intricate dot and line pattern on the surface for decoration. These hooks were designed to decoratively and functionally hold the shoulder pieces of chain mail together across the chest on the early legionary. 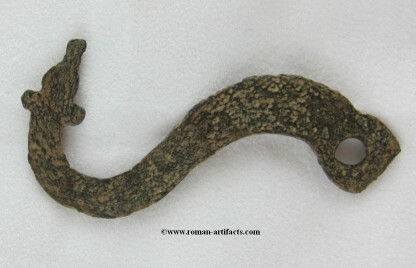 There were a variety of styles, with many being of the serpent/snake.